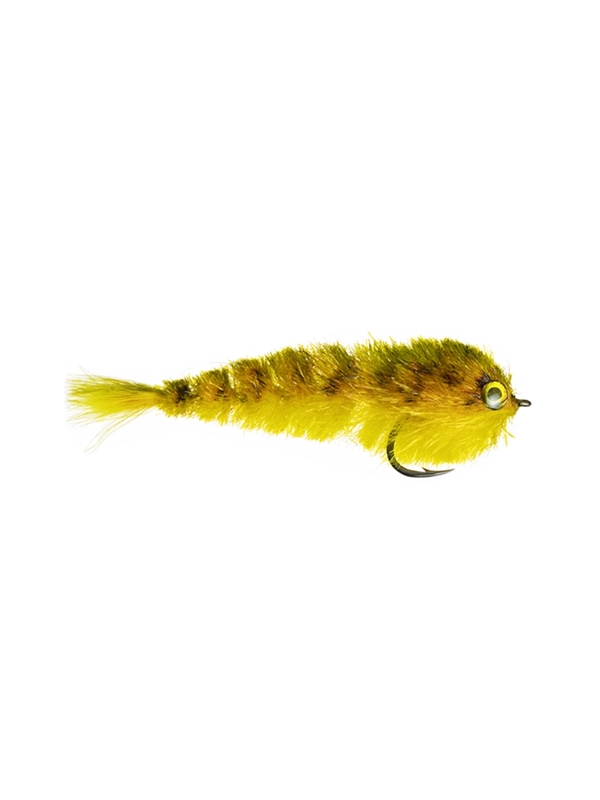 The Finesse Game Changer fly, designed by Blane Chocklett is a highly articulated, realistic baitfish streamer perfect for targeting many freshwater and saltwater gamefish species from trout to tarpon. Truly one of the most important and influential flies of our generation. * Natural Swimming Action- The innovative use of special materials realistically mimic the spine and muscle of a baitfish to give it a unique, enticing swimming action. * Realistic Profile- The Finesse Changer is designed with realism in mind, especially for situations in which the fish you're targeting has more of a chance to inspect the fly before choosing to strike. * Versatile Size- The Finesse Changer's average typical baitfish length of 3.5" (9cm) makes it a great general purpose fly that can be used to target a wide variety of species in different fisheries. * Colors- Available in 8 color variations, allowing you to “match the hatch” for success in most fisheries and target species. * Lightweight, Synthetic Materials - Tied with ultra-lightweight, synthetic Chocklett’s Finesse material that sheds water giving a fly that is very easy to cast and has incredible natural movement in the water. * Durable- The tying method and modern, synthetic materials used give you a tough, durable fly that should stand up to dozens of landed fish. Blane Chocklett's Finesse Game Changer Fly featured here in a size 1/0 single hook which is perfectly saltwater and big game capable. Color here is Brown Trout. This fly measures approximately 3.5" long.